Plot Outline: In a world where both Mutants and Humans fear each other, Marie D'Ancanto, better known as Rogue, runs away from home and hitches a ride with another mutant, known as Logan, a.k.a. Wolverine. Charles Xavier, who owns a school for young mutants, sends Storm and Cyclops to bring them back before it is too late. 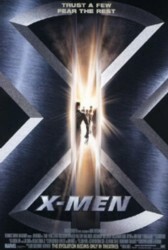 Magneto, who believes a war is approaching, has an evil plan in mind, and needs young Rogue to help him.